Type Lambda λ on a Mac? 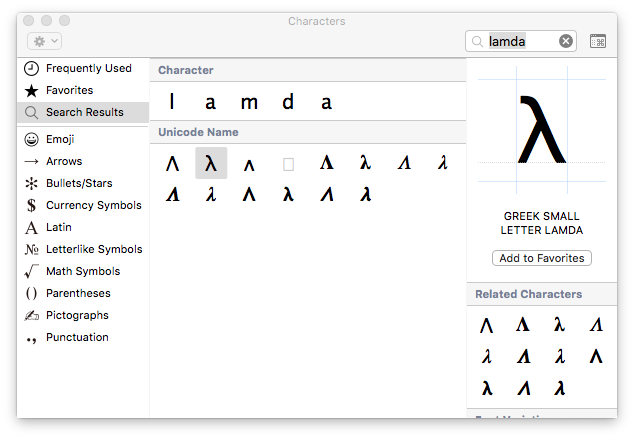 Is there a way to type lambda λ on a mac without switching the entire keyboard binding to Greek, as described here: How do you type Theta on a Mac? What is your reason for not wanting to switch the entire keyboard binding to Greek? 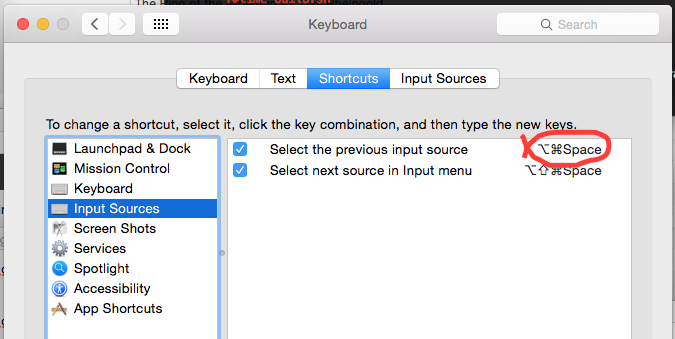 If your reason was just that switching by the menu is a bit cumbersome, then you could set up a keyboard shortcut instead, for very quick layout switching. Now you can get a λ by typing ⌘+⌥+Space (switch the input layout to Greek); l (actually produce the λ); ⌘+⌥+Space (switch back to whatever layout you were typing in before). And, as a bonus, the rest of the Greek alphabet is at your fingertips as well! Type lamda into the search bar. Pay attention to type lamda instead of lambda. You might ask why it is spelt lamda not lambda. The use of the spelling lamda derives from ISO 10646. This does not mean that it is more correct than lambda, merely that the spelling without the 'b' is the one used in the formal character names. Here is a website about Mac keyboard shortcuts: https://support.apple.com/en-us/HT201236. If you will be writing it often, I would recommend going to System Preferences → Keyboard → Text and adding a new replace rule: Replace lambda with λ. If you have access to Vim/gVim (the editor, which seems to go by the MacVim name on Mac), go into INSERT mode, press Ctrl + k followed by * followed by l. A λ character will be produced. Copy that into the clipboard and you're good to go. You can do this for other Greek letters too, just replace l with a, b, c, d etc. You can also get upper case versions of those letters by just entering them as... upper case! That applies to other Vim distributions as well. 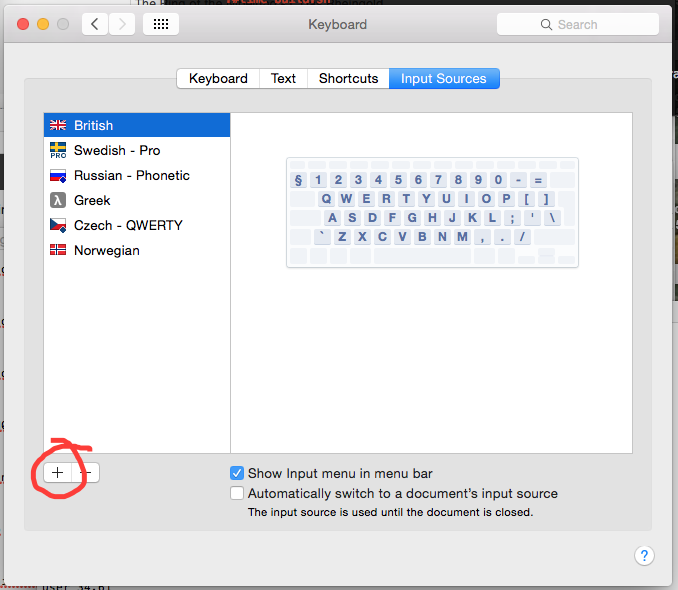 If you are an owner of Alfred Powerpack (only £17), you can download this workflow to search and type in any symbols quickly. That's what I use whenever I need to quickly type in any unicode symbol on my mac. Install Ukelele and make option-L produce lambda. Go to System Preferences > Keyboard > Text and check Correct spelling automatically. Then add a rule to replace the standard output of option-L (which is ¬) with λ. Not the answer you're looking for? Browse other questions tagged macos internationalization keybindings character . How do you type Theta on a Mac? How can I expand the number of special characters I can type using my keyboard? Is there a way to type Niqqud on iOS? How do I type a ² or a ³ on an Apple keyboard (International English layout)? How to type in the tilde character '~' with an apple international keyboard? Is it possible to use 2 different keyboards without having to switch the layout manually? On Mac, ⌥ S types ß (beta). What about alpha? How do I type a tilde in spanish keyboard? How do you type a character with its ASCII code? How can I type Lithuanian stress characters (e.g., ą́, ė̃, m̃)?